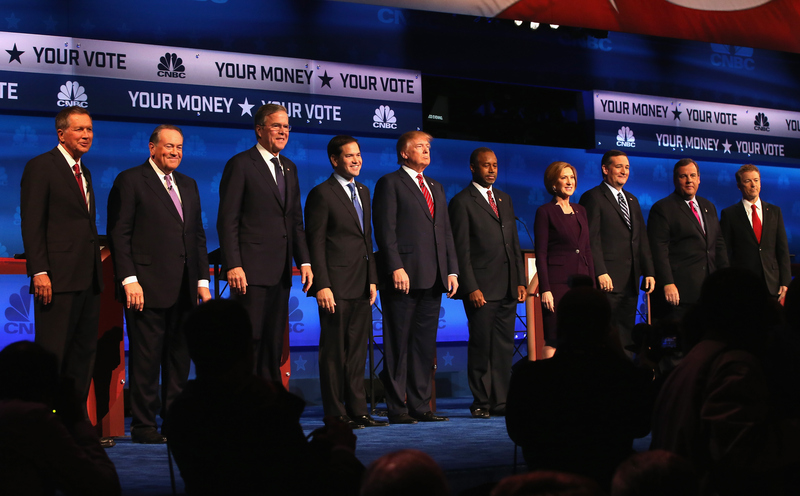 Wednesday night was a big night for the slowly dwindling field of 2016 GOP presidential candidates. At the third televised debate in Boulder, Colorado, the remaining 14 Republicans took to the CNBC stage to debate topics such as climate change, tax reform, and trade policy — and as usual, there were plenty of fireworks to keep viewers entertained. Ranging from the hilarious to outright jaw-dropping, Twitter was flooded throughout the evening with plenty of GOP debate memes that perfectly captured the atmosphere inside the University of Colorado Coors Event Center. Previous debates have provided plenty of comedic fodder for the social media sphere's biggest smart alecks. "Let the games begin," wrote the official House of Cards account in a tweet early in Wednesday's primary showing. "Will you get a little bloody? Yes, probably. But that's what people want in their debates." Of course, Twitter is a gold mine in terms of hysterical public discourse for both the every-man and high profile figures alike. At the second GOP primary debate in mid-September, Democratic candidate Hillary Clinton got in on the action herself, tweeting a popular meme to portray her disbelief at the Republican candidates' continued stubbornness over the June 26 SCOTUS gay marriage ruling. "When the GOP is still against marriage equality even though it's the law of the land," Clinton tweeted over a picture of herself with closed eyes, looking exasperated. On Wednesday, viewers watching the third GOP debate seemed equally as entertained, posting rollicking photos and videos in reaction to some of the evening's biggest lines.